The doors have been flung wide open! 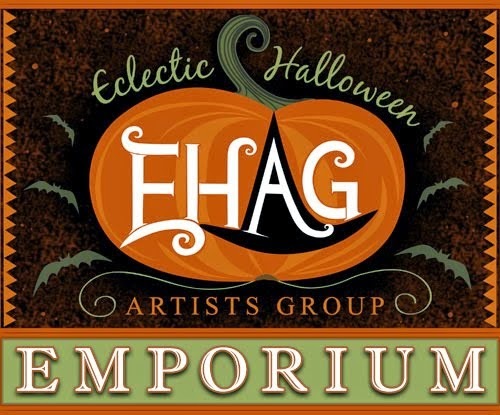 The EHAG EMPORIUM invites you in to browse and purchase wonderful one of a kind Hallowe'en themed art pieces. Do not forget that each piece is one of a kind and available for purchase on a first come, first serve basis. You must email the artist personally with questions concerning the piece that you are interested in or intend to buy. 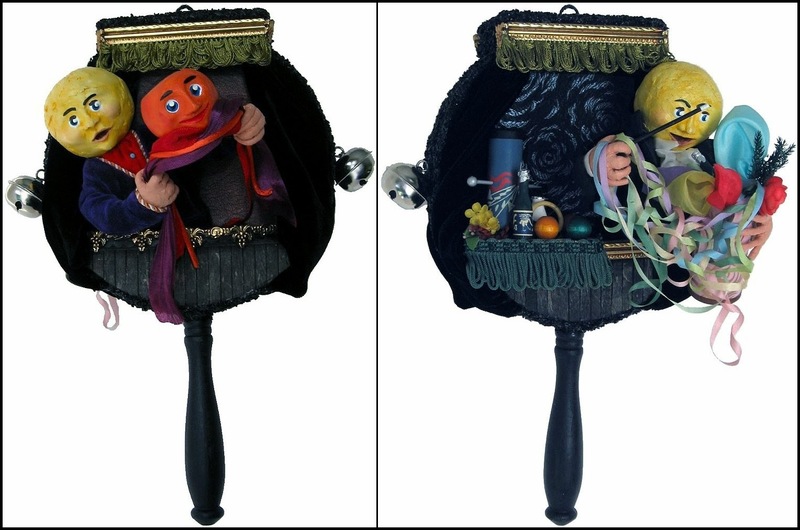 The Man in the Moon was very pleased when I had mentioned to him that I was going to make a large portrait rattle and I wanted to have him on both sides of the rattle performing a few of his magic tricks. He loves it and I must say that I do as well. Black Cat says that it looks just like him. Click here to go to my sales blog for all of the information about this double sided portrait rattle. Len - what a great piece of art! I used to be a magician, so this is really near and dear to my heart. I even used to do the levitating ball trick just like you depicted. Great work!